Do you ever feel like this? I feel lucky to love my job and to be part of a growing team at my agency, but sometimes I feel like I am on a treadmill that is just getting faster and I can barely keep up. On top of my "day job", I am teaching a class at Miami Ad School (which I love) and working on the blog you're reading now. All of these things are related so some days it feels more like I have a "when I open my eyes to when I close my eyes." I'm struggling for the elusive work-life balance, which might be a myth! 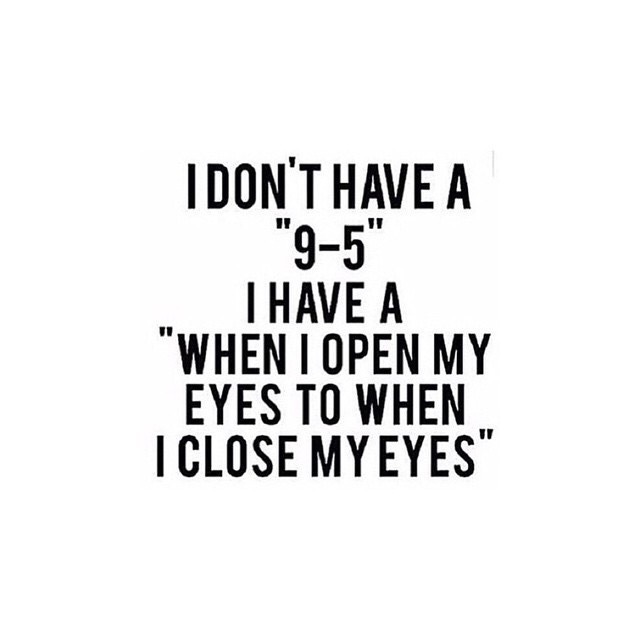 I'm lucky enough to have a 9-5 job, but I've come to the conclusion that they are pretty rare/nonexistent anymore. I think you're managing everything beautifully!